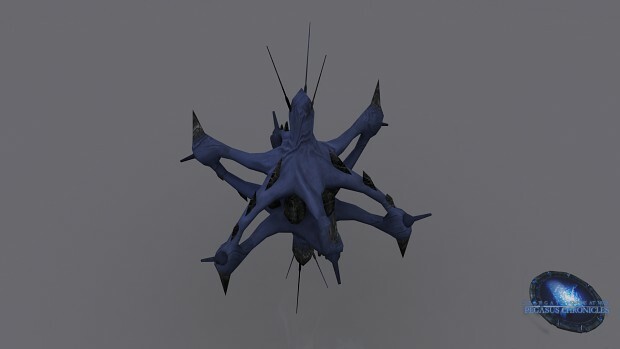 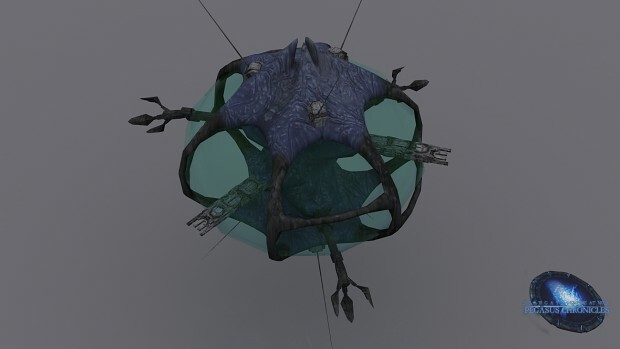 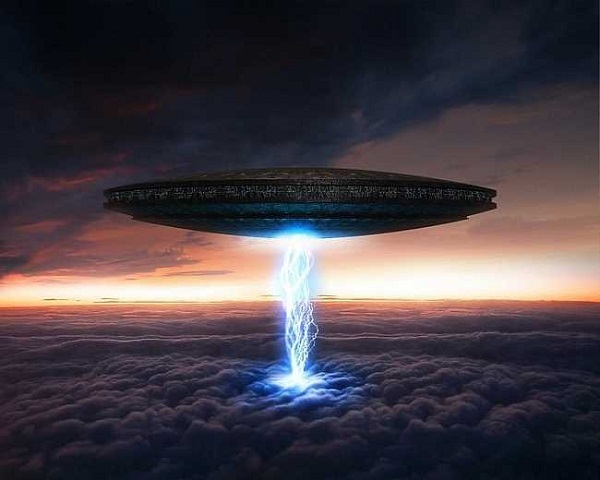 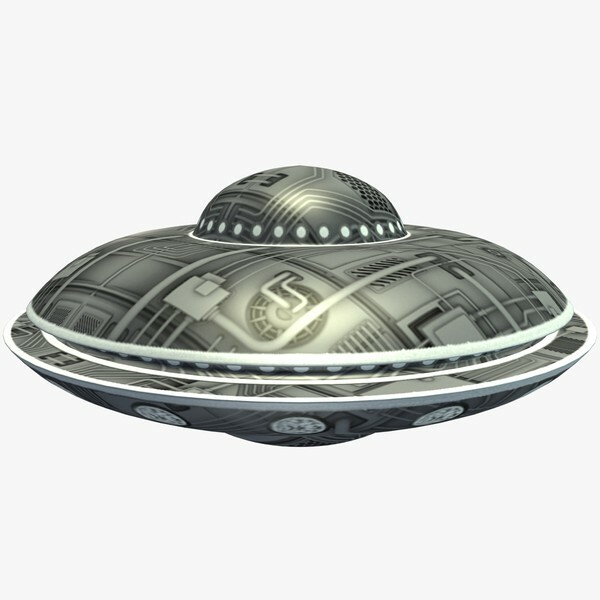 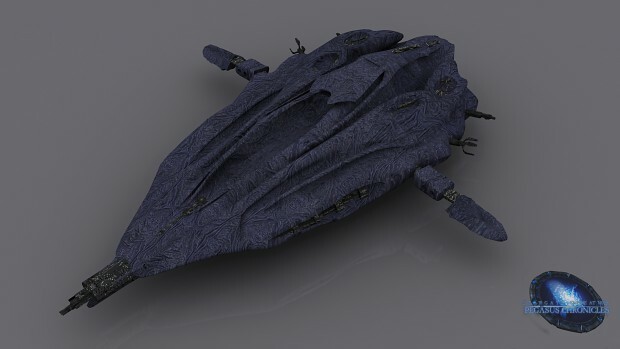 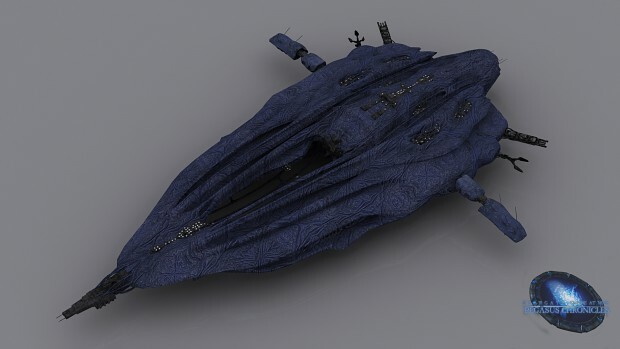 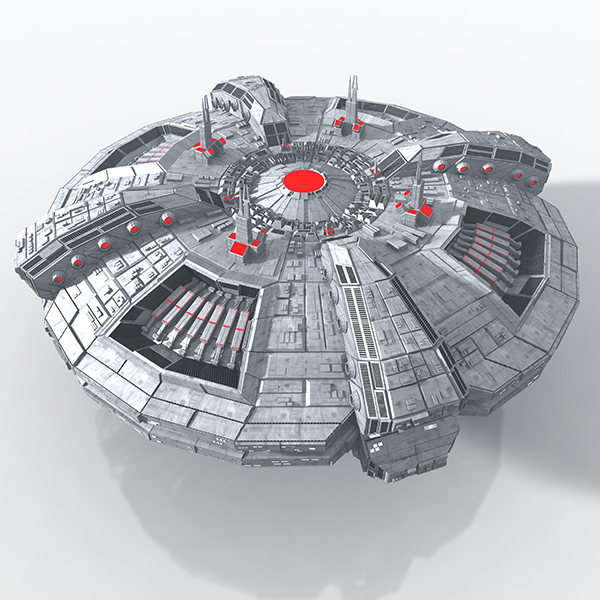 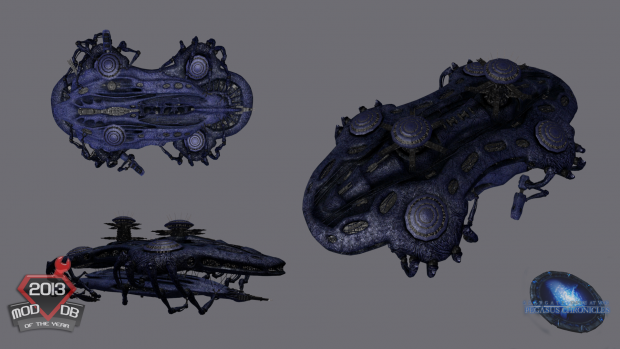 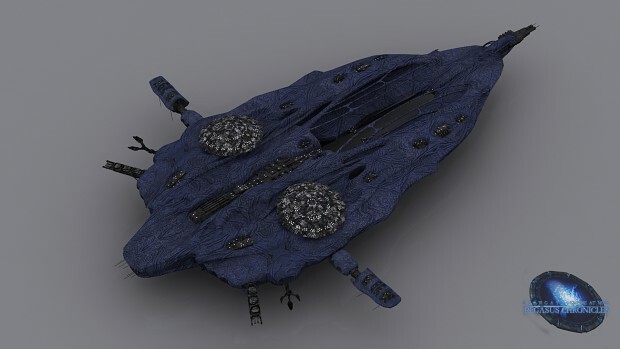 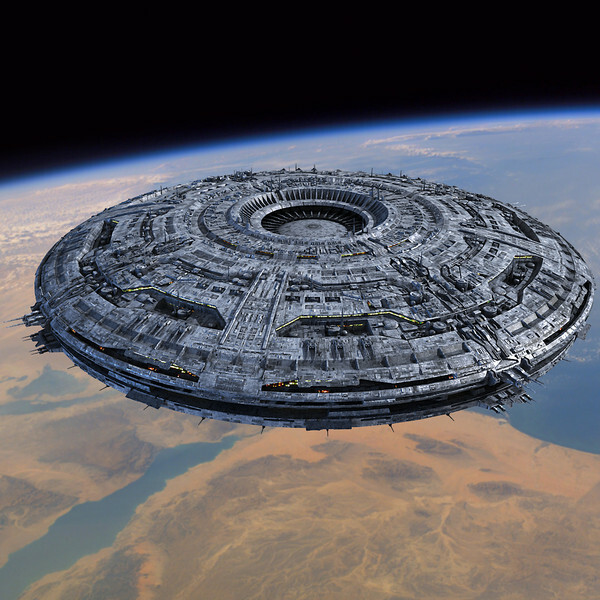 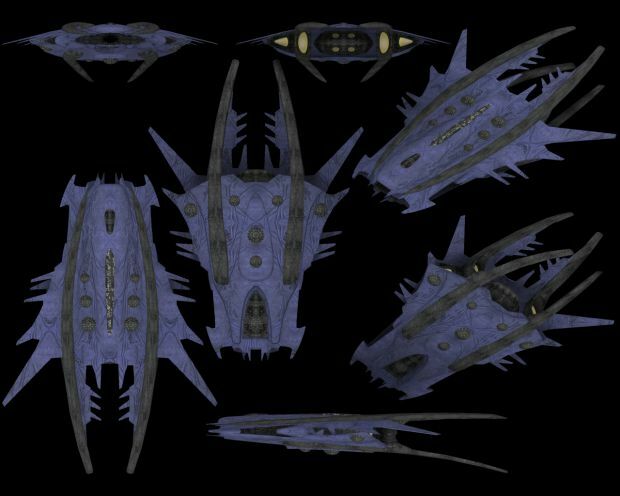 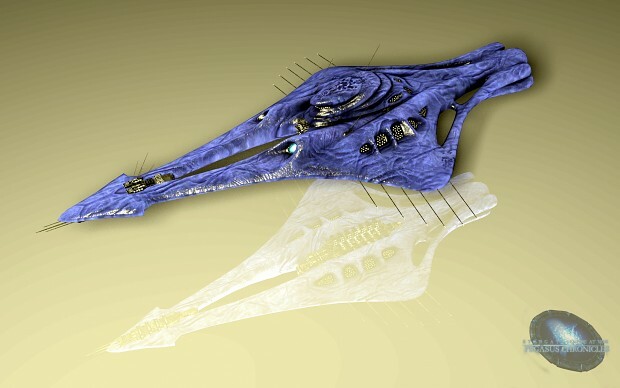 Mothership- The "Kushan" Mothership is a city sized behemoth that serves as the Chrymerion's flagship but also as a mobile shipyard, carrier, city and capital. 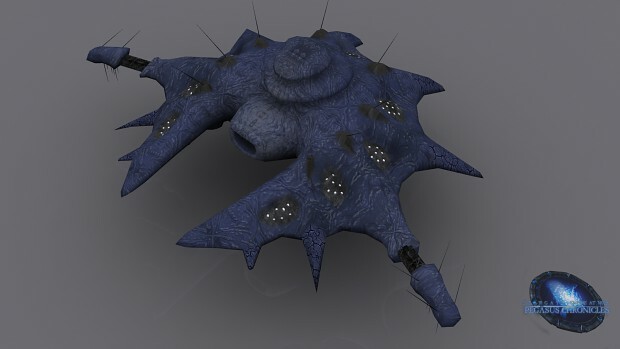 Armor: Neutronium with regenerative bio-mechanical and Borg nannite enhancements. 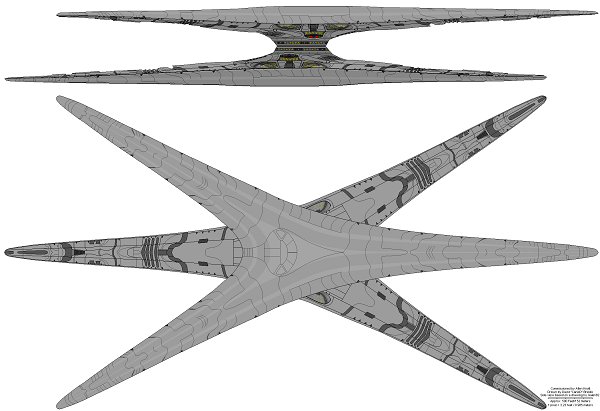 Shields: Regenerative high output modulating deflectors with phased cloaking capability. 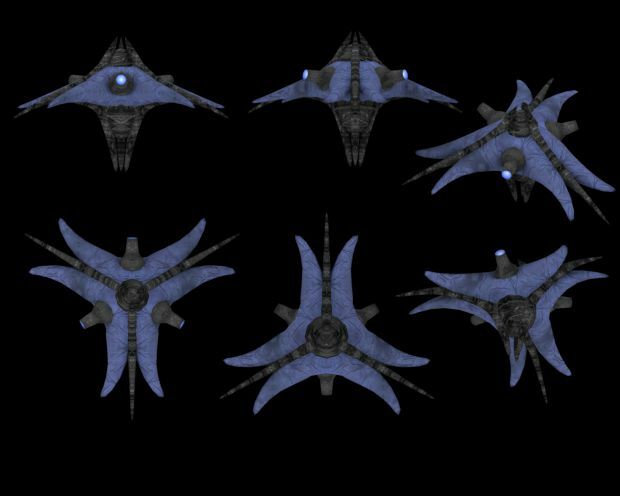 100 Destroyers each, 100 with 200 Fighters or bombers each, 100 with 100 reconnaissance each, 100 with 200 Shuttles each, 100 with 200 Transports each, 200 with 40K Cryo-Stasis escape pods each. 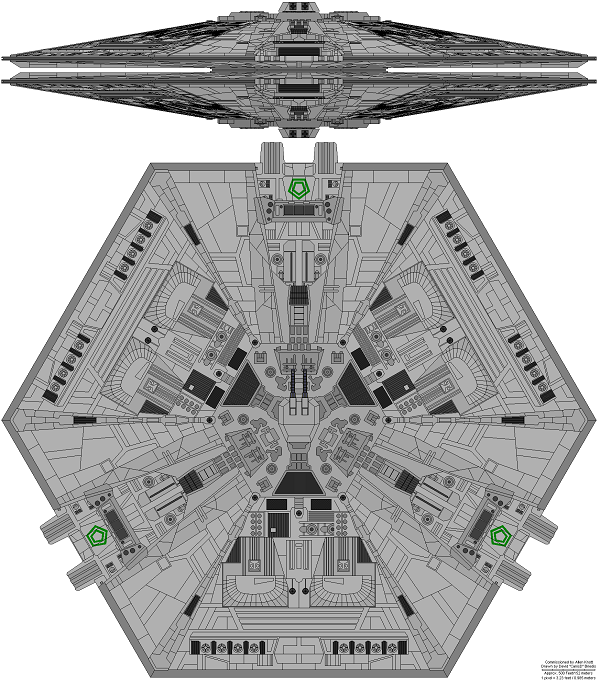 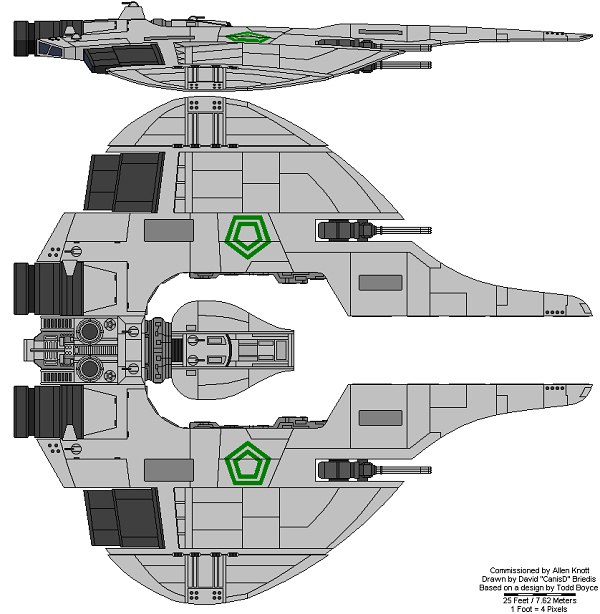 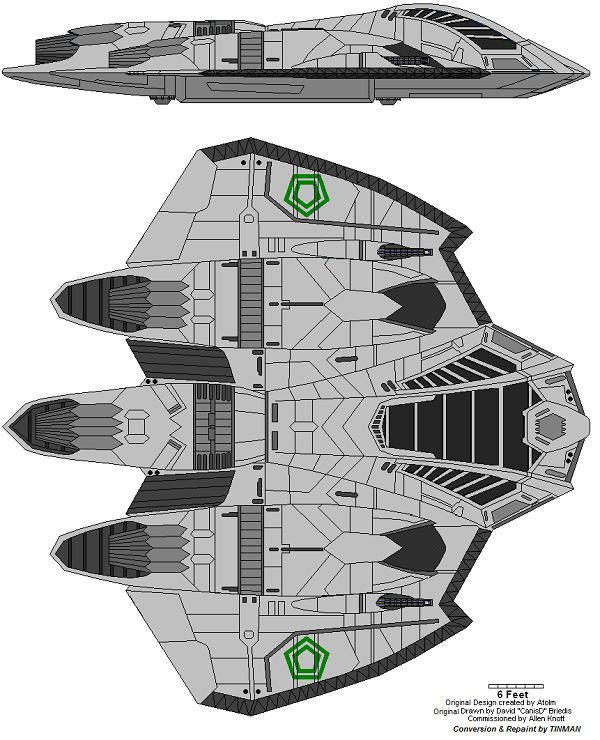 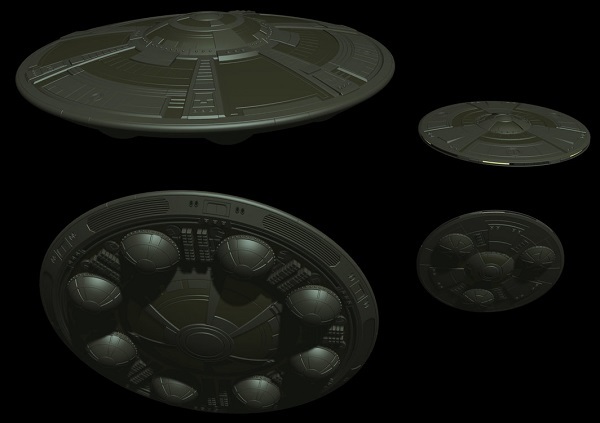 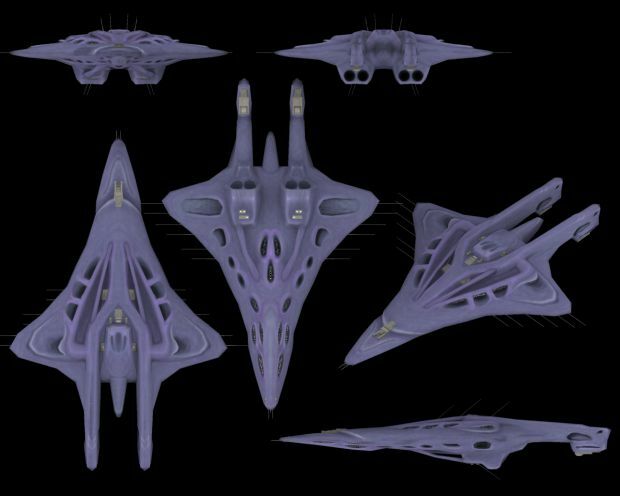 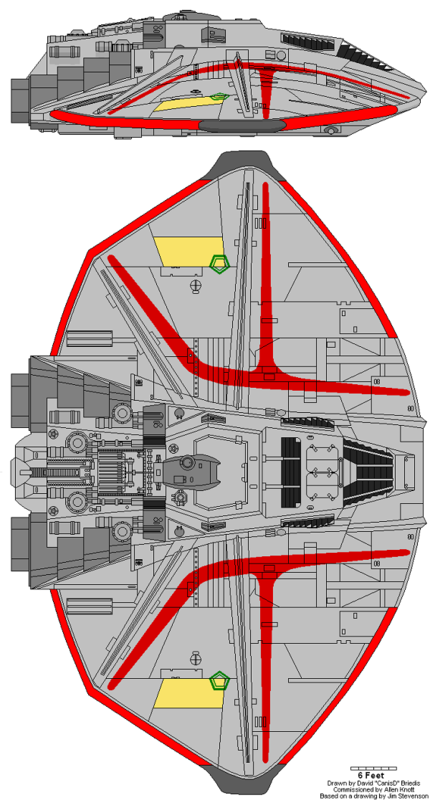 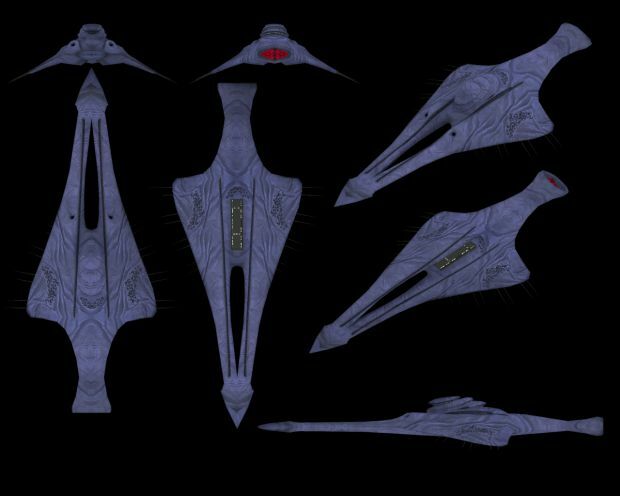 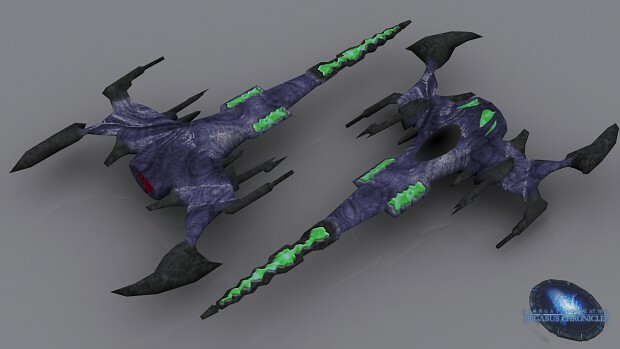 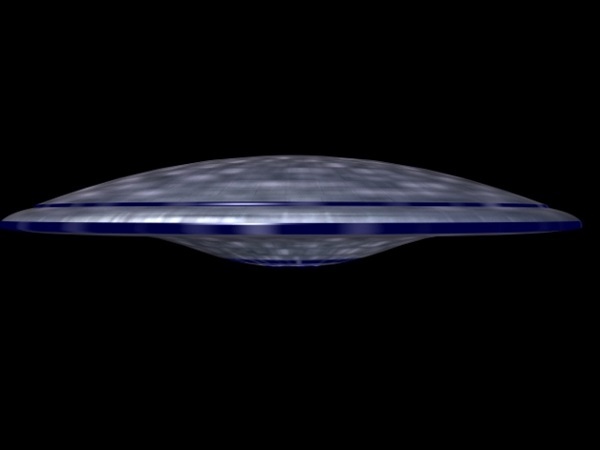 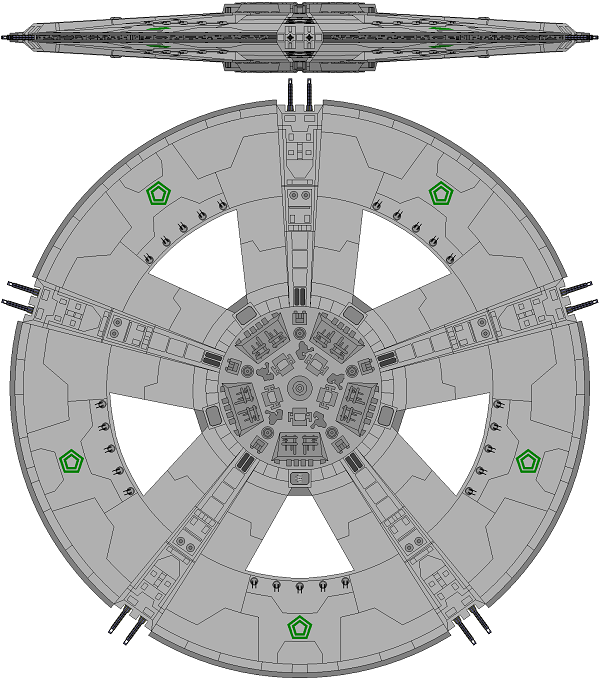 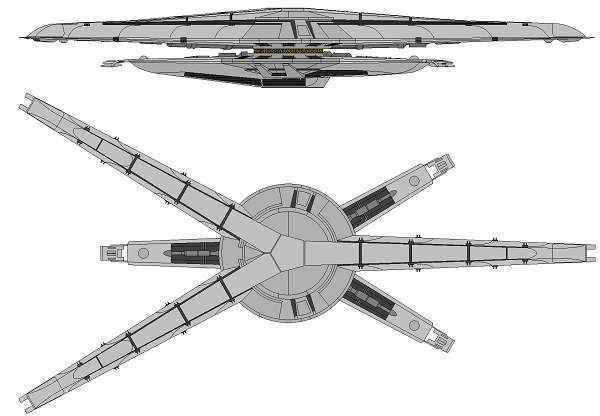 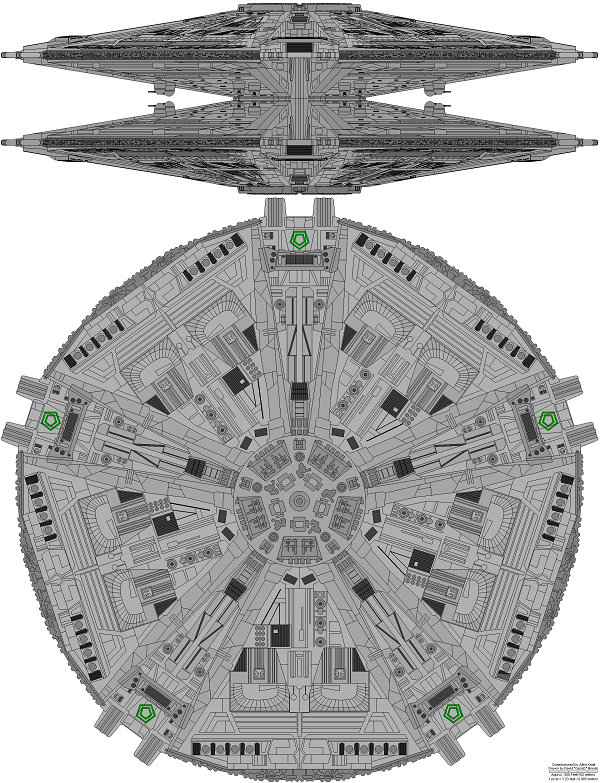 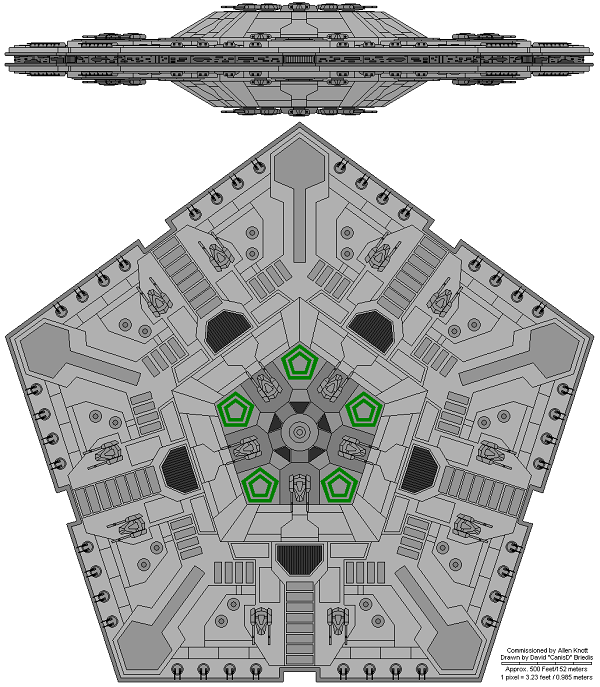 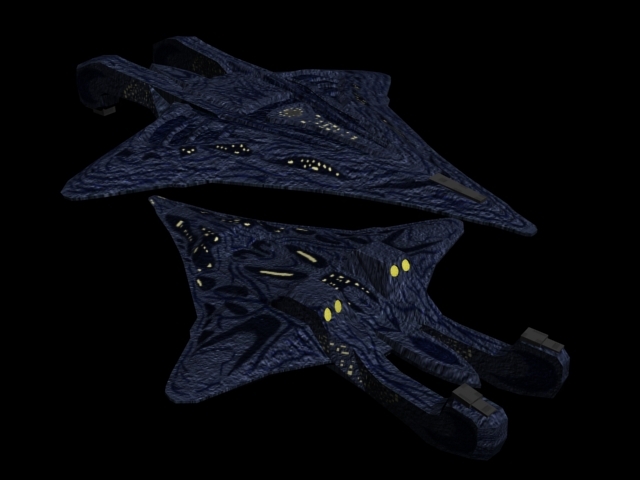 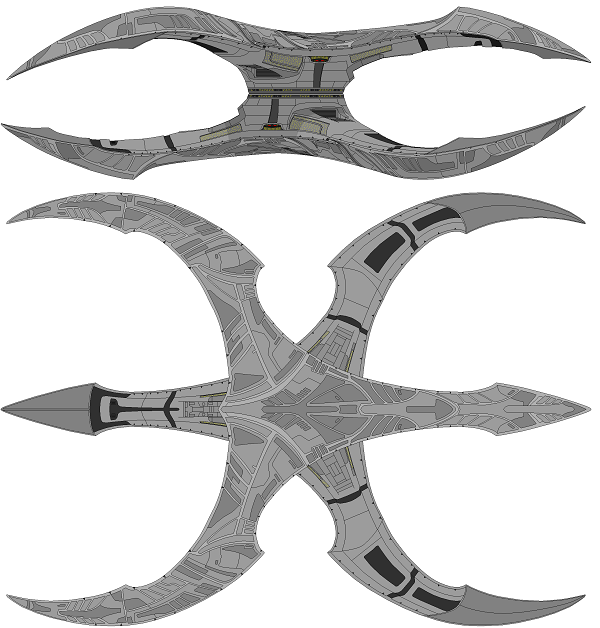 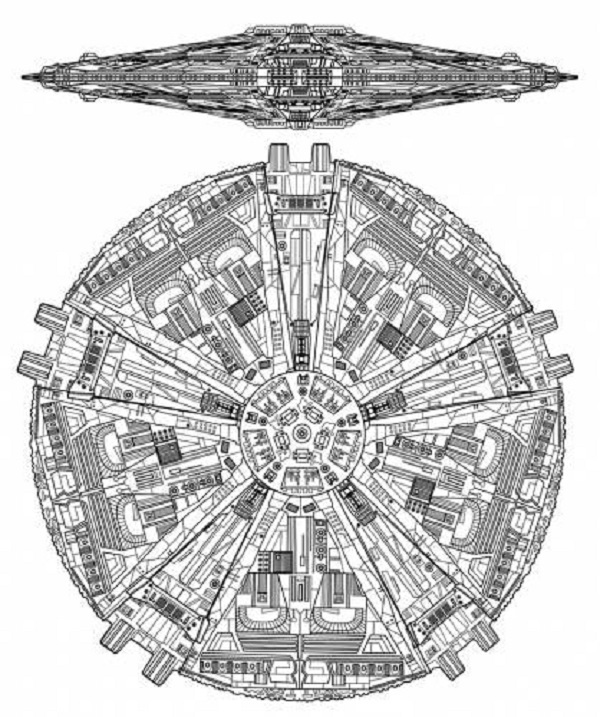 Shields: Regenerative low output modulating deflectors with phased cloaking capability and stealth generators.